The Wrangler Unlimited provides the best of both worlds with its incredible on-road ride and handling and uncompromised off-road capability. 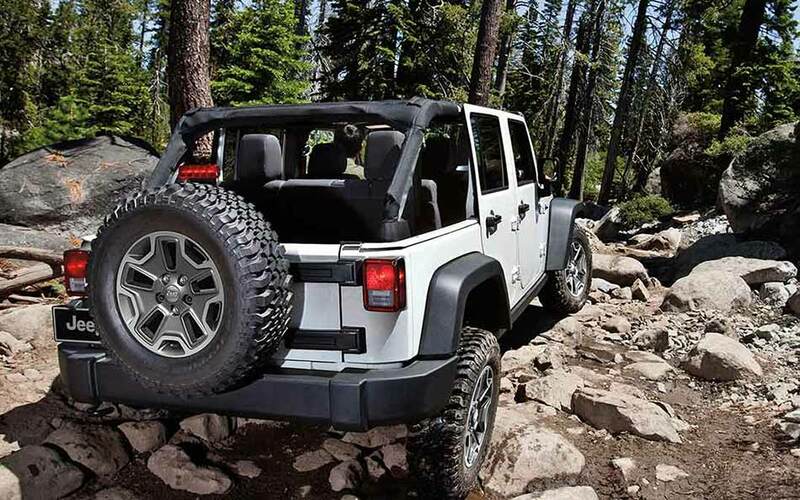 Every Jeep Wrangler Unlimited comes with a Trail Rated badge. 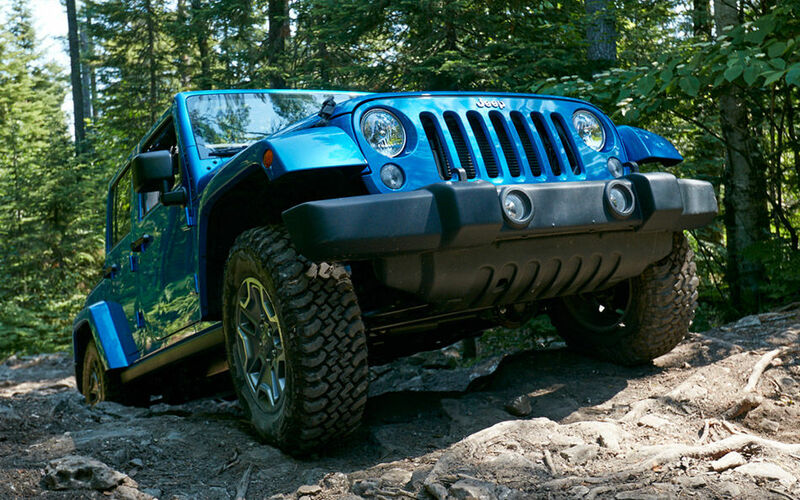 This badge of honor signifies the ability of the Wrangler Unlimited to do well under different off-road conditions and carries on the tradition of renowned traction, ground clearance, maneuverability, articulation, and water fording activities. You can choose a 4×4 system such as the Command-Trac® which delivers equal power to all four wheels or you can pick the Rock-Trac® for more control and more torque. 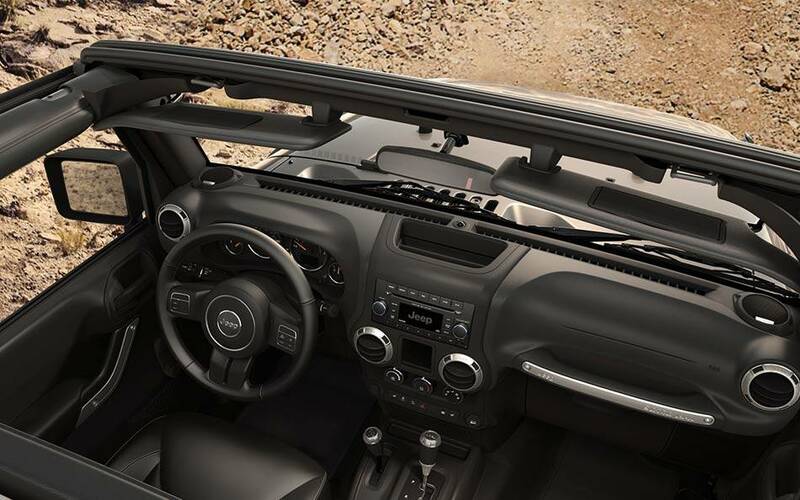 Drop by Tempe Chrysler Jeep Dodge and experience the 2016 Jeep Wrangler Unlimited for yourself. You can speak to our knowledgeable staff about any questions you have whether it’s about the Wrangler Unlimited or any new 2015-2016 Dodge, Chrysler, RAM and Jeep vehicles. Take a look from our large inventory of new vehicles which include the Chrysler 200, Dodge Challenger, Ram 1500, Ram 2500, and Jeep Grand Cherokee. We are a Phoenix-area Chrysler, Dodge, Ram and Jeep car dealership, proudly serving the cities of Tempe, Glendale, Gilbert, Scottsdale, Chandler, and Mesa. Get comfortable in the 2016 Jeep Wrangler Unlimited with upholstered seats in premium Sedoso cloth or available McKinley leather trim in embroidered stitching. If you’re in the front seat, you’ll get the benefits of available heated seating and illuminated cup holders. Plus, you get a lot great accessories all throughout the vehicle such as audio input jacks to connect to your cellphone, lockable center console to keep your valuables close by and secure, and a premium instrument cluster for easy viewing. Don’t worry about mud or spills staining your carpets. Every Wrangler Unlimited comes standard with a durable, washable interior with drain plugs. Looking for efficiency and power? The 3.6-liter Pentastar® V6 engine in the Wrangler Unlimited has the best-in-class horsepower at 285 horsepower and produces 260 lb.-ft. of torque for outstanding low-speed crawling capability. Did we mention that it also has decent city/highway mpg? Choose the 4×4 system that’s perfect for you. The Command-Trac® brings you four-wheel drive off-roading power to all four corners. For more control and more torque, the Rock-Trac® will allow you to go anywhere by crawling at lower speeds with a greater increase in torque at the wheels.